Mendham Twp-East Side, cul-de-sac. Upscale location, quiet cul-de-sac. Orig priced at $1 million+ this fantastic home on 5 plus gorgeous acres, backs up to watershed property. Neighborhood of much more expensive homes, this was an opportunity of a life time! 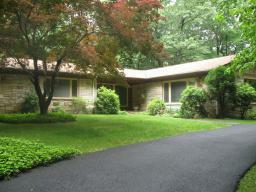 Buyers moved from Mendham Borough to Township and are loving their new space.